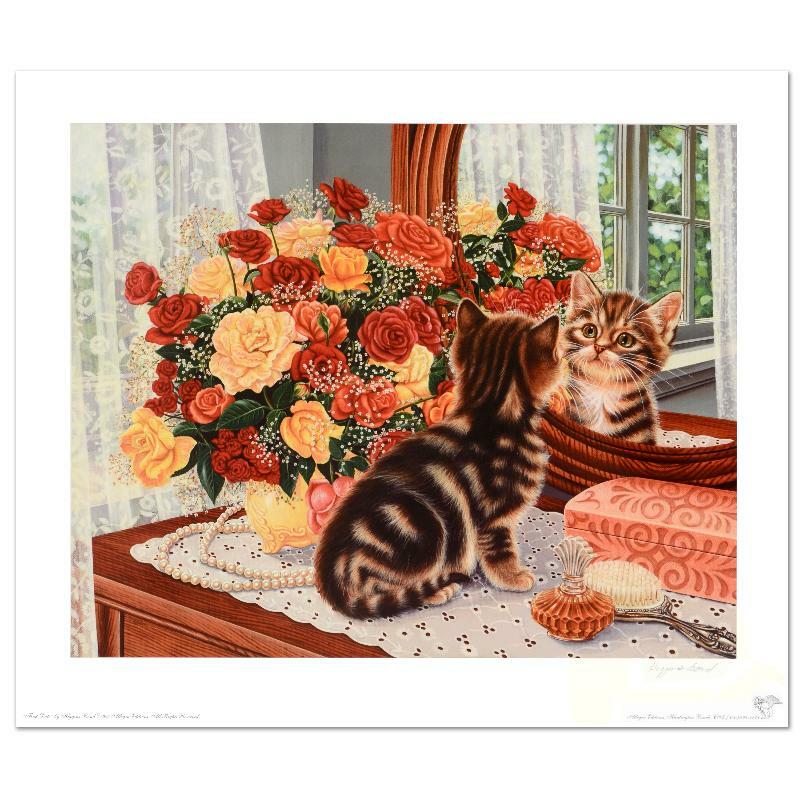 Barbara Higgins-Bond, "First Date" Limited Edition Lithograph. Numbered and Hand Signed by the Artist. Full of light and delicate details, Barbara Higgins-Bond's work is collected world wide. "First Date" is a limited edition offset lithograph on paper by Higgins-Bond, numbered and hand signed by the artist! Measures approx. 23.5" x 19.5" (with border), 20" x 16" (image). 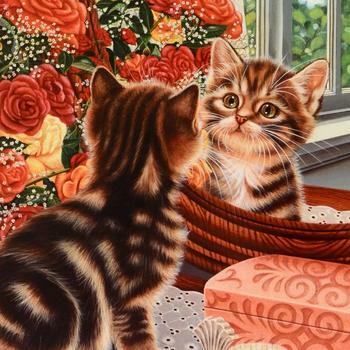 Artist Barbara Higgins-Bond has been doing illustration for more than 25 years. A great deal of her illustrations have been seen on national TV from books to figurines to postage stamps, with an impressive list of clients that include the United States Postal Service, United Nations Postal Administration, The Smithsonian Institution, NBC and many more. Higgins-Bond's illustrations have been exhibited in many museums and she has appeared in interviews on television shows and in magazine articles about her illustrations. Higgins-Bond and her illustrations have received numerous awards and honors. A freelance illustrator with 26 years of experience illustrating books, magazines, posters, calendars,ads, collectors’ plates, brochures, figurines, dolls, and individual painting commissions.